His home was less than one mile away, and he must have walked back to the bar to retrieve his car instead of staying home as the police officers directed. Officers noticed that the car was missing from the parking lot about 20 minutes later and saw it driving onto West Mount Vernon Street. He struggled with the officers who took him into custody for the drunk driving charges, insisting that he was not intoxicated.Police took a breathalyzer test at about 2:30 a.m., and the driver’s blood alcohol concentration was .23 percent. This man provides a lesson for others. If you have already had a close call with the police, as he did when they gave him a ride home, just stay home. Chances are that the police are still in the area and they will be on the look out for you. In this case, the police noticed that the jeep was gone from the parking lot, for example. Things like that make it easy for police to find an offender and stop them. Be smart about your choices, even when you may be intoxicated. 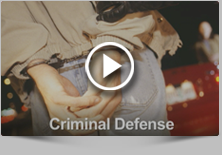 If you have been charged with a crime, including a DUI, contact the DUI experts at Fiore & Barber. Call 215-256-0205 for a free initial consultation.